Hoverboards (also called self balancing scooters) are one of the coolest, most interesting and fun forms of personal transportation. There’s something a little bit special about how a hoverboard works and riding one is a unique experience. They also make great gifts for birthdays and Christmas. Many times a hoverboard will be the center of attention on the big day. 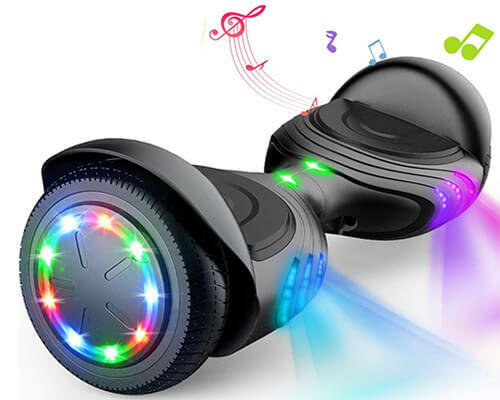 In this post we’ve made the arduous job of trawling through the web finding the best hoverboards for your children much easier by doing the hard work for you. 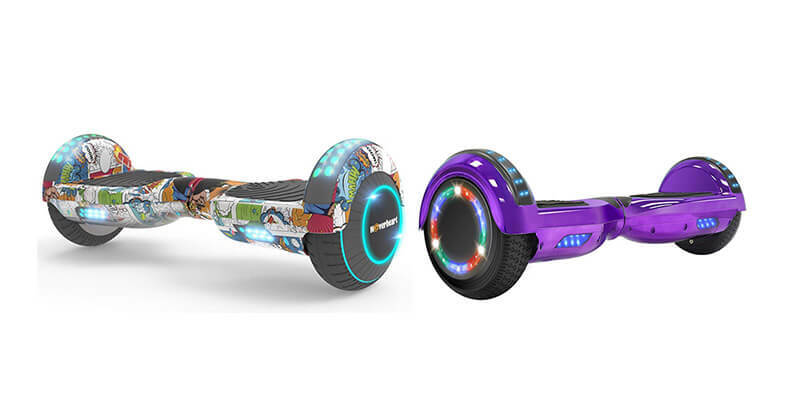 We’ve researched and found 7 of the best hoverboards for kids of varying price and style. Hopefully we’ve covered any possibilities that you may need. 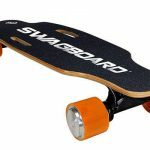 We’ve reviewed several other Swagtron products on AltRiders, such as the Swagtron Swagger and the Swagboard NG-1. What all these products have in common is that they have very similar pros and cons. Swagtron seem to have a system and they stick with it, their products are all very well priced and feature heavy. The downsides are that they are sometimes a bit unreliable. The Swagtron T1 keeps up with this theme almost perfectly. 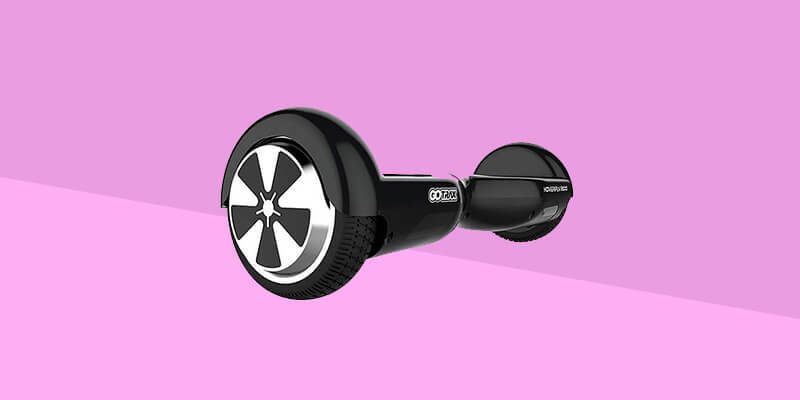 It has LED headlights, battery indicators, rubber bumpers, two riding modes and even Swagtron’s patented SentryShield smart battery management system that provides multi layered hover skate-board protection. It also comes in a range of 6 colors to choose from. The performance of the T1 is also quite good. It has a top speed of 9 mph, which is plenty for a hoverboard. You get around 10 miles maximum range and the charging time is only 1 hour. The board feels solid and well built, unlike a lot of the super cheap options out there that are incredibly flimsy. It’s also UL 2272 certified and can carry riders up to 220lbs. Some people have had issues with reliability but we haven’t had any problems. 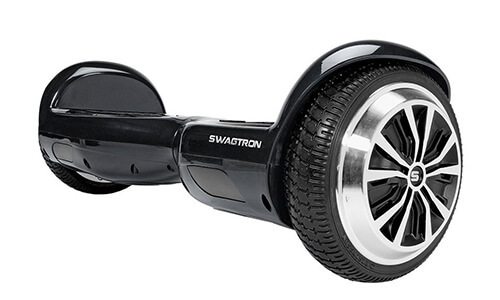 Overall, the Swagtron T1 is a great beginner hoverboard. It’s got all the features you need, including additional safety features. The performance is good and it’s relatively easy to use. One of it’s best features is that you get all of this for less than $250 with a 1 year warranty. 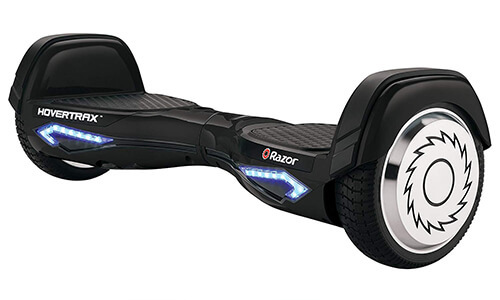 This is one of the best value for money hoverboard around right now. The Tomoloo Hoverboard is one of the best rated and most popular hoverboards on the web and it’s perfect for kids. This is packed with features that you’re kids will love. One of the most interesting is the Bluetooth speaker system. It has Bluetooth 4.2 speakers & RGB LEDs lights that will change their color as the volume change of the music. This gives you a colorful and exciting experience that can’t really be replicated. (Check out the first review on Amazon for a great example of the speakers in action). A lot of these functions are controlled with the free accompanying app. With the free app, you can adjust the skill level as well as all the above. The difference between skill levels is how sensitive the boards reactions are. This makes learning super easy. The build of the Tomoloo is very good, it is fire and water resistant and is UL 2272 certified, which complies with all US safety standards. It can support riders up to 165 lbs and has built in anti-slip pedals to give you a safe experience. The performance is also pretty good, with a top speed of 7.5 mph, a max range of 7.5 miles and a charging time of around 2 hours. Overall, the Tomoloo is one of the most fun and exciting hoverboards you could possibly get for your kids. We’d recommend it to kids under the age of 12. 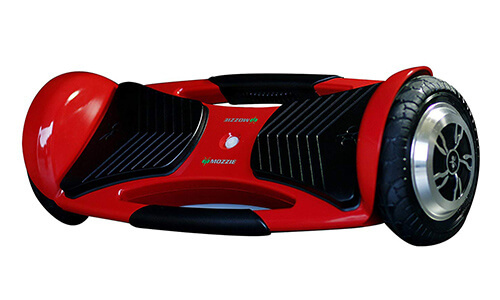 It’s feature packed, performs well and has all the safety standards you’d expect from a quality hoverboard. It’s also very good value for money, coming in a less than $200 a lot of the time. We’ve done a much more detailed review of the Halo Go 2 if you want extra details. 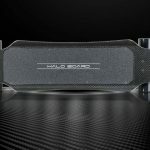 Halo Board are known for making quality products so you can be sure that the Halo Go 2 has a high quality design and build. It uses a lovely mirror chrome finish and deploys a high tech shatter resistant shell to keep the Go 2 safe from any knocks and scrapes. It also has Never-Flat tires, and a top speed of 9 mph, only slightly lower than the Halo Rover’s 10 mph, a range of 8 miles and a charge time of less than 2 hours. 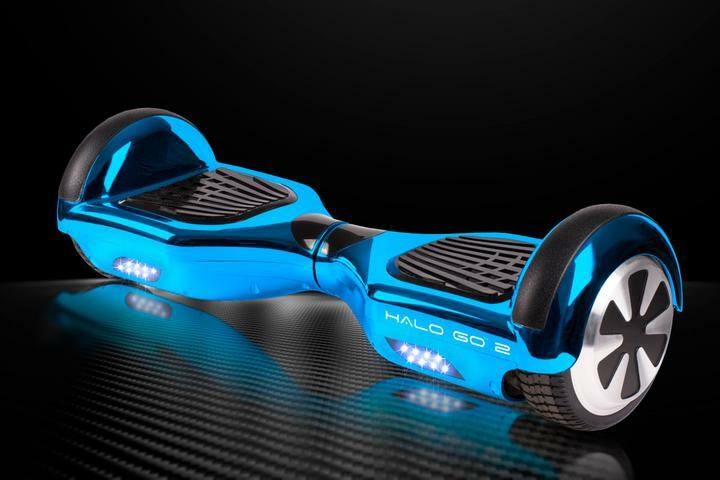 Halo Board has also provided their self-balancing scooters with a lot of additional features that make it more than just a knock-off hoverboard. These include such features as the ride assist technology that makes learning to ride super easy, indicator lights and a set of integrated Bluetooth Speakers. Just like all the boards we recommend, safety is a vital part. This has been UL certified with UL 2272 and UL 2271 certifications. Although the chrome finish is nice and strong, it does have a tendency to scratch. In terms of pricing the board can be quite expensive when Halo haven’t got a deal going, which is more often than you’d think. However, we think the general quality of this hoverboard is better than the vast majority of the hoverboards out there at the moment, and you do tend to get what you pay for. Overall, the Halo Go 2 is a great hoverboard, packed full of features and perfect for your kids. If you don’t mind paying a little extra for the additional quality then this could be the board for you. Check the latest price on the Halo Board website. 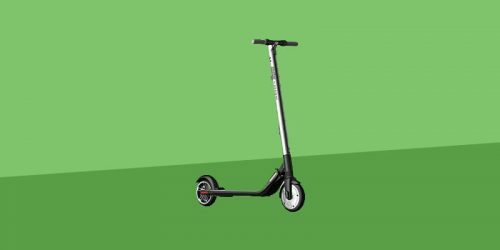 Razor are one of the leading brands of electric scooter and make one of our favorite kick scooters, the Razor A5 Lux. 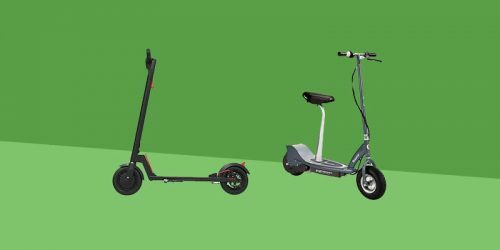 Many of their products have already been featured on AltRiders in lists such as 8 of the Best Electric Scooters for Kids. However, they don’t only make scooters and today we’ll look at one of their most successful other products, the Razor Hovertrax 2.0 hoverboard. The Razor Hovertrax 2.0 has a cruising speed of 8 mph and uses a very quiet 350W motor. It has a run time of around 60 minutes, which isn’t the best. It does however have a very nice feature to help improve run time. It uses changeable batteries that allow you to switch the empty one for a full one. This is a great feature and we really don’t know when more personal transportation doesn’t use these. The build quality is good, it feels sturdy and has solid fender bumpers. It can hold a max rider weight of 220 lbs. It also has a few nice little extras such as the front LED lights and an LED battery indicator. It also includes two riding modes, one for training and one for normal use. The Hovertrax 2.0 is also full safety compliance and is UL 2272 certified. It also comes in a good range of colors and styles including camouflage. Well built, from a reputable company. The Razor Hovertrax 2.0 is a solid hoverboard, it works very well and the battery system is fantastic. 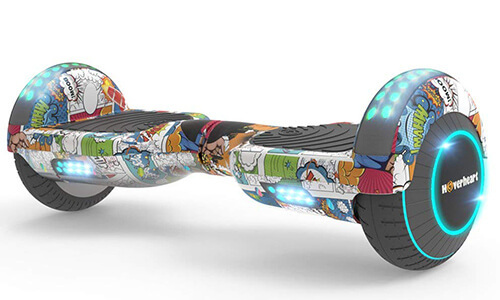 It doesn’t have the same amount of features as many of the other Hoverboards on this list though. 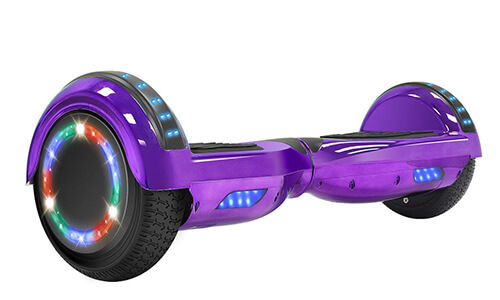 The price is also generally a bit more than many of the other hoverboards. You are getting a good product, that is well built and performs well but other boards to represent better value for money. The Mozzie Hoverboard is a premium hoverboard that is built with features and ease of use in mind. One of the first things you’ll notice is the large set of wheels. These are 8 inch wheels that are suitable for more than just inside. I wouldn’t say this is a fully all terrain hoverboard like the Halo Rover, but it can certainly be used outside just as easily as indoors. The wheels also feature a locking system when getting on and off the board. This will help you or your youngster with mounting the board without a fear of falling. This is a heavy duty, rugged board that will definitely survive a few knocks and bumps. It’s UL 2272 certified and can officially hold riders up to 220 lbs, but the actual number is much more. The Mozzie also includes many of the features you’d expect from a premium hoverboard. 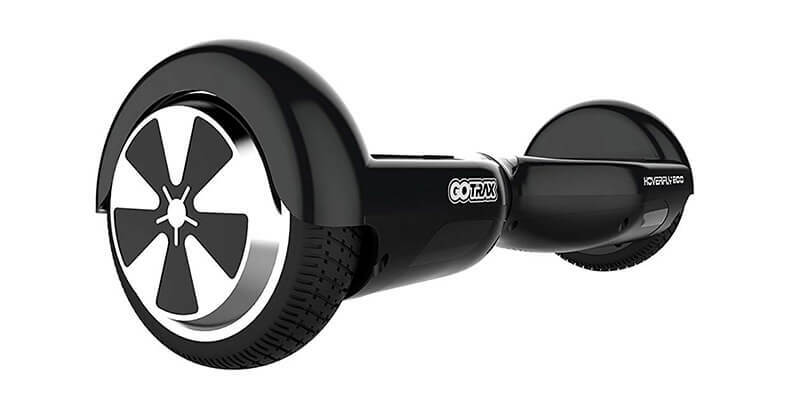 It has built in Bluetooth speakers and a cool Bluetooth app that lets your kids fully control their riding experience. It also includes LED head and tail lights and two big handles to make carrying the Mozzie around much easier. Overall, the Mozzie is a brilliant premium hoverboard. The built quality is fantastic, the performance is good and the extra features are just what you’d expect from a hoverboard at this price. We’d recommend this to anyone looking to buy a hoverboard, not just kids. 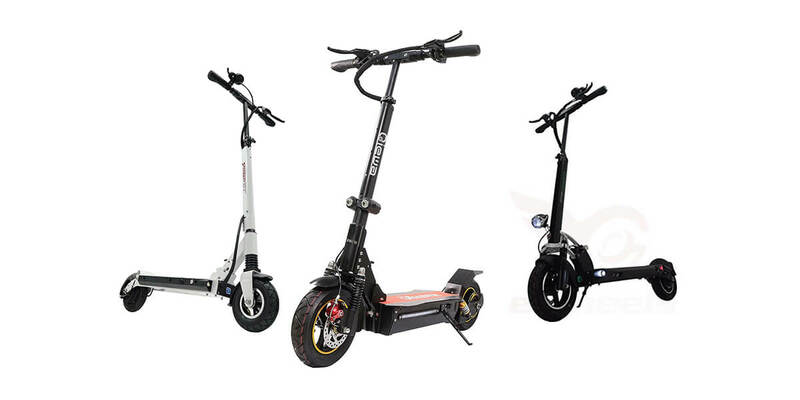 The locking wheels also make the learning curve that much smaller and will help anyone with any previous issues to become confident on a self balancing scooter. The NHT Hoverboard is an affordable and feature packed hoverboard that is really giving some bigger names a run for their money. It’s very similar to the Tomoloo, in both looks and features. 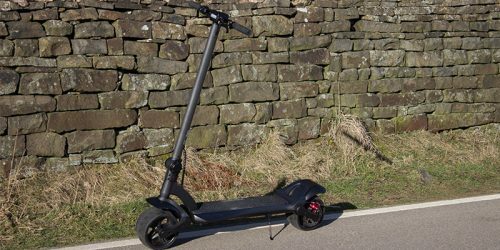 The NHT can travel up to 6 mph and for a range of 7.5 miles on a single charge. It takes about 2-3 hours to fully recharge the NHT. The build quality of this hoverboard is good, it feels pretty solid and has a decent pair of 6.5 inch grippy tires. 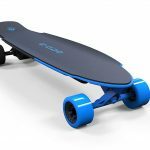 It is completely UL 2272 certified, like all of the boards on this list and it can hold a maximum rider weight of 220 lbs. The extra features are quite abundant. You can connect to the on-board speaker system via Bluetooth and enjoy your favorite music through stereo speakers with premium sound quality while riding. Unlike some other boards this can connect from your computer, laptop, iPhone, Samsung phone, or any other Android device. It also has a lot of LEDs, on the front, back, top and sides. This feels like a light show just as much as it does a hoverboard. If you’re looking for a good introductory hoverboard for your children that won’t cost you a mini fortune but still has all the bells and whistles that many more expensives boards offer, then this is perfect for you. It’s performance is ok but it really makes up for it in the additional extras you get at such a reasonable price. The Hoverheart Hoverboard is an affordable self balancing scooter that comes in a huge range of colors and styles. You have 8 different chrome colors to choose from and 6 different art styles. They look great and there’s something here for everyone. But the Hoverheart isn’t just a good looking hoverboard. It also performs very well. It has a top speed of 10 mph and a range of over 10 miles on a single charge. It’s also well built and can hold a max rider weight of 220 lbs. Like the rest of the boards this is UL 2272 certified so you can rest easy knowing if you buy this for your children it’s as safe as possible. The only problem we’ve seen reported is that it isn’t quite as reliable as other boards. The Hoverheart also has built in Bluetooth speakers and a range of LED lights. Overall, this is a great board if you’re looking for a cheap and fun present. 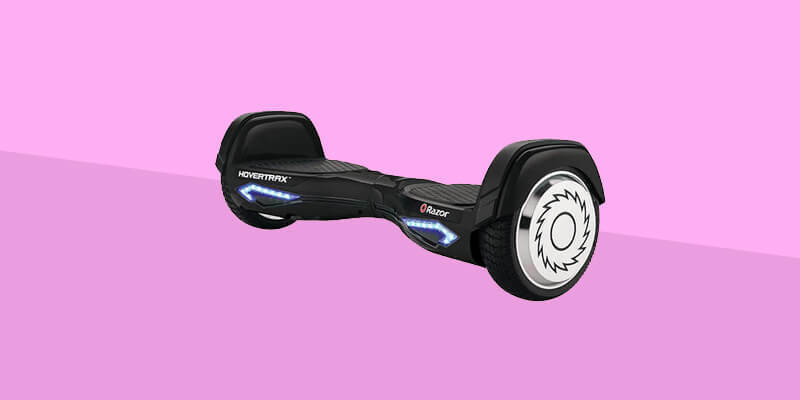 At the time of writing this, the Hoverheart was the cheapest of the hoverboards we’ve reviewed. The fun and stylish colors and art work make it stand out from the crowd and really help your child have something more unique to them. For this reason alone we’d give it a place on our list of the best self balancing scooters for kids. Quick disclaimer about the importance of safety gear. Riding any type electric transportation, whether it be an electric scooter or an electric skateboard always carries some risk, so it’s important to think about safety. Especially for your children. Safety gear is there to protect those vital points when a fall happens and could potentially save your child’s life if they have a bad fall. Luckily hoverboards don’t tend to travel too fast so falls don’t tend to be that bad but we still recommend purchasing at least a helmet. We have given you some example of safety gear that available below. It’s important to wear a properly fitted helmet to protect your head from slamming against the ground or walls. This is the most important piece of safety equipment and we highly recommend you use one. Here are a few options on Amazon. Knee pads are there to protect from cuts and scrapes. They also give you the option to safely bail and slide to prevent potentially more serious injuries. Like with knee pads, elbow pads are there to protect from cuts and scrapes. They also allow you to slide and help control your fall. These are worn to protect your wrists and palms during a fall. They support your wrist and stop them from twisting. Well we hope this has given you a better idea of what to expect from some of the best hoverboards for kids out there today. If you need to know more, think we’ve missed something or want to ask us some questions then comment below or connect with us on Facebook. Hi! We are Rose and Joe, the team behind AltRiders. For every post we write we have done hours of research and have had as much hands on experience with the product as possible. Our aim is to get a complete understanding of the item(s) we’re testing, but if we have any doubts or queries we have no hesitation in going straight to the manufacturer for information that might not be readily available to you, the customer. Meeting at University whilst studying Electronic and Electrical Engineering, we realised that we were both active individuals with a shared interest in outdoor sports and anything with two wheels. 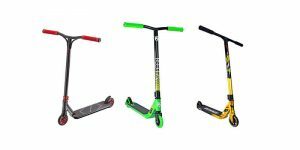 Combining our engineering knowledge and our years of experience with skateboards, scooters, bikes and more, we feel that we’re in a great position to test and understand these products and provide you with an unbiased, accurate source of information. Subscribe to our newsletter to get the best deals and keep up to date with our latest posts! AltRiders is a participant in the Amazon Services LLC Associates Program, an affiliate advertising program designed to provide a means for sites to earn advertising fees by linking to Amazon.com and other Amazon websites.